It's true. This blog got a wee bit dusty over the past year. It was a tough one in my own personal world for a variety of reasons. The loss of my best friend, Doc JPP, being the major reason. There is a time for everything...and sometimes that means taking time for myself. This week, I step into a new realm. 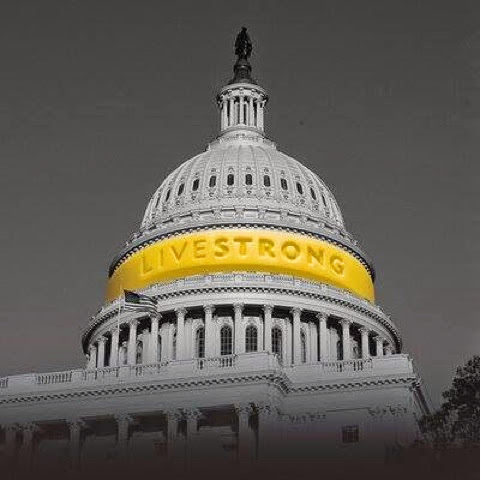 Instead of fundraising and awareness...I'm heading to Washington, DC as a cancer fighting survivor advocate as a delegate for the LIVESTRONG Foundation. I'll be here July 7 & 8 to talk to our congress reps about increasing federal funds for cancer research & prevention, and FDA approval process. Am I intimidated by Capitol Hill? A bit. But, they are all people too, and I hope Rep. Darrell Issa, Rep. Scott Peters, Sen. Barbara Boxer & Sen. Dianne Feinstein are willing to hear my story. As a cancer survivor and someone with a career in biotech/pharma, with medical nurses in my family...I hope they have open hearts and minds. Please join me virtually, and all the other delegates of @OVACInfo by using the hashtag #cancervoice & copying @OvacInfo @LivestrongAdv on them. Let's let them hear our voice as ONE!! A great reminder that I had armies of support beside me in my fight. (Thanks, Lance!) Even with the recent media, this video isn't about the bike...but the fight against cancer. LIVESTRONG! Donate & fight to kick cancer to the curb! 500 Miles. 17 days. 2 States. 1 Mission to Cure Cancer. All Content and Images (unless specified otherwise), Copyright Cures Rock! 2007-2012. RECORDS CAN BE BROKEN. CANCER CAN BE CURED. Life's most urgent question is, "What are you doing for others?" -Martin Luther King, Jr.
A survivor's marathon running, music and cancer blog about racing for a cure, while raising awareness and research funding for Young Adult cancer patients and survivors. Welcome to the adventures of the CURES ROCK! Campaign.